Detectives are appealing for information, following the arrest of three men after a 29-year-old man sustained several stab wounds to his head and legs. Police said the victim’s injuries were sustained on or near the footbridge over the railway line between Endwell Road and Station Road in Bexhill shortly before 1.30am today (Saturday, March 9). He is currently in a serious condition at the Royal Sussex County Hospital in Brighton. 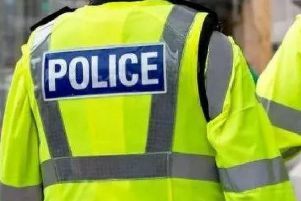 Police added three men aged 42, 39 and 26, all from the local area, have been arrested on suspicion of causing grievous bodily harm, and are currently in custody for interview and further enquiries. Detective Inspector Rob Morland said; “We are appealing for information from anyone who was in the area in the early hours of Saturday morning and who saw any suspicious activity. “If you can help please contact us online or by calling 101, quoting Op Transform. “You can also contact the independent charity Crimestoppers anonymously on 0800 555 111. “The investigation is at an early stage but we do not currently believe that this was a stranger attack.